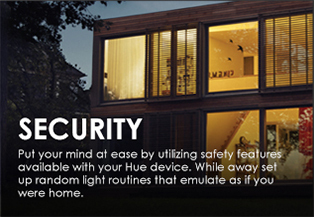 Philips Hue and ET2 have worked together so you can enjoy the richest lighting experience in your next project. 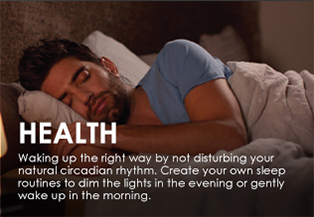 Use the Philips Hue app, wireless light switches, motion sensors, or even your voice to set the mood for any moment. 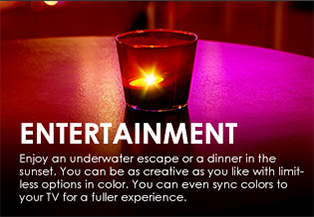 Click on one of the collections below for further information. 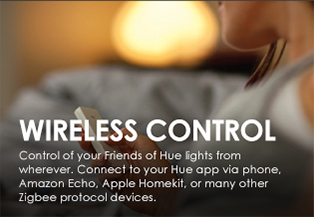 You can control your Philip Hue and ET2 smart lights from almost any device, wherever you are. Voice control also works with Amazon Alexa, Apple HomeKit, Google Assistant, and Microsoft Cortana.